Bundaberg is the place I grew up. It’s a small city—regional Queensland. People like to think anywhere outside of Brisbane is a one-street ice epidemic. But Bundaberg is a nice place. 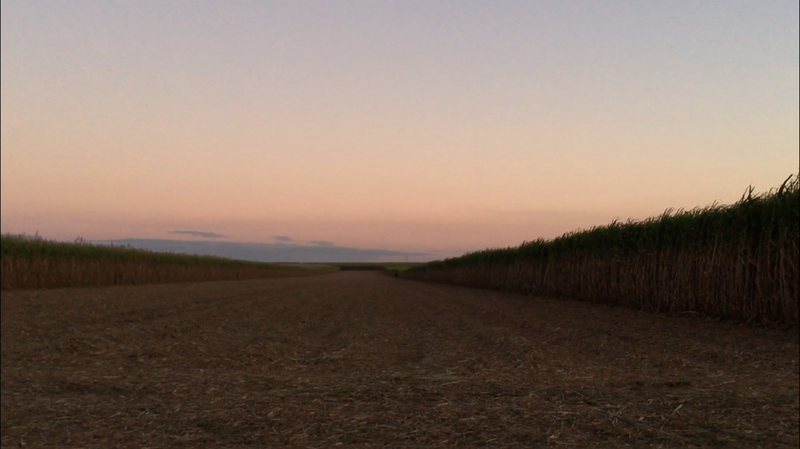 The city is surrounded by cane fields on all sides. When crushing season comes, a sweet, yet sulphurous steam from the mill pours into the afternoon air. When they burn the fields, delicate strands of ash rain over the whole town. They turn to dust in your hands if you try to catch them. The sun shines almost every day. Going outside is a game of finding shade, or else having your mother remark how burnt you are at the dinner table that evening. I come from two old families. My mother’s father’s parents settled there in the 20s and opened a cafe. They were Greek. My dad’s family were school teachers and cattle auctioneers. They’re Irish and English, and they’ve been there since the early days. Our house is over a hundred years old, in the Queenslander style. It’s made of timber—cooling in the summer—and has a long verandah. It’s always full of sun and air. When I was a baby my mum painted the house light blue, with yellow walls inside. There are gardens all around, and a backyard that any child would dream of. You could always find shade there. One of my first memories is of a winter morning in that house, when I walked with my grandmother over the wooden hallway floor into our kitchen. She was living with us at the time. The sight of her hand holding mine frightened me: there were blood spots, and thick violet veins protruding from her delicate skin. I can remember the feeling of lying on her lap. She was tender and loving, in a way that has always made me want to cry when I think or speak of her. She died shortly after that cool morning in the hallway. Every Sunday in the summer, my mum would take my two brothers and me to the beach. We’d pull up in the carpark and run across the burning bitumen to the flour-like sand. My auntie Pauline would already be sitting in her fold-out chair. “Jesus, where’ve you been?” she’d ask me as I threw my towel down next to her. She always phoned in advance to see what time we’d get there. Auntie Pauline was my godmother, and she made me laugh. Her hair was tinted black as the night, and she wore thick gold bangles on both wrists. My grandad’s chair would be next to hers, empty. He would be off strolling up and down the beach, talking to all the regulars. You’d spot him with his walking stick, slowly making his way back. It was as if you could see his deep tan getting darker as he walked. He came to the beach every day. It was where he belonged. My mother says that the ocean is in our blood, from him. When the sun got too strong, we would go home. After his heart attack, grandad wouldn’t come to the beach anymore. I think he lost a part of himself because of it. He died when I was in Year 12. Now that I live in Sydney, sometimes it hurts my mother to think that I don’t miss home. But everywhere I go, I look for it; in the shade of a tree, on cool mornings, when submerged in the ocean and in the words I speak and hear. It is the feeling of being loved.